Perfect for removing hard dead skin cells from your feet, a spoiling pedicure is perfect for keeping your toenails in clean working order. Expect to leave with smooth skin, healthy, shaped toenails and a pop of your favourite nail polish as the finishing touch. There’s few things in life that are more pampering and luxurious than a professional pedicure. From a blissful foot massage to a deeply cleansing exfoliation, booking yourself in for a relaxing pedicure is guaranteed to lift your spirits and leave you feeling utterly spoiled. Expect to leave with smooth skin, healthy, shaped toenails and a pop of your favourite nail polish as the finishing touch. If you're feeling like a real treat, it's possible to boost your pedicure with a host of uplifting and indulgent add-ons too. Perfect for removing hard dead skin cells from your feet and keep your toenails in clean working order, a pedicure can be performed on both dry or wet feet, though for a more luxurious experience most opt for a wet pedicure, where both of your feet are submerged in hot soapy water to soften the skin and cuticle area. Like most treatments, methods can vary from place to place, but the result should always be touchably soft feet, with all dead and dry skin removed from the foot. There’s few things in life that are more pampering and luxurious than a professional pedicure. Your style of pedicure is dependant on the salon you choose, so if you want your treatment to go the extra mile be sure to do your research first. From luxurious massaging water jets to a simple hot foot bath, there's a host of different pedicures you can take your pick from. Once your feet have been fully soaked for a few minutes, your therapist will use a hard pumice stone or buffer file to remove hardened skin from the heels and balls of your feet, and then use a cuticle clipper to banish all other dry areas around your toes and cuticles. After this, your toenails will be trimmed and filed to perfection, followed by (in most cases) a relaxing exfoliation treatment to ensure your skin is next level smooth and fresh. The last stage before polish is usually a soothing cream that's massaged into your feet to keep them soft and hydrated for days to come. After this, polish and top coat is applied, then all that’s left for you to do is wait patiently for them to dry! If you’re looking for something a little more thorough, or want to get to the root of a recurring foot issue then a medical pedicure is a great way to get your feet back on track. 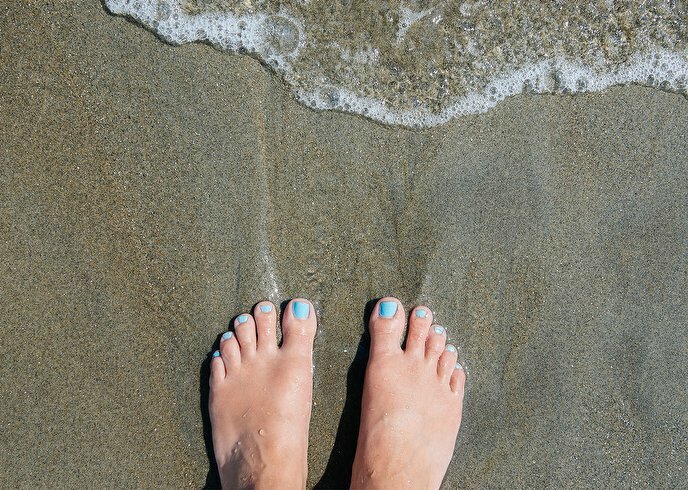 Slightly less relaxing than your luxury pedicure, but brilliant for the overall health of your feet, a trained podiatrist will set you on a treatment regime, helping to banish unsightly nails and get your feet summer-ready in no time. So regardless of whether you’re going in for a lick of colour and a massage, or need something a little more hardwearing, getting a professional pedi is guaranteed to leave you looking down at your feet admiringly for days to come, and put a serious spring in your step while you’re at it! Do you want to have perfect feet for up to two weeks? Enter the two week pedicure: it’s like your usual pedicure but with clever gel polish instead of normal nail polish. The result? Shiny, chip-free toes for a very long time. Dreamy! 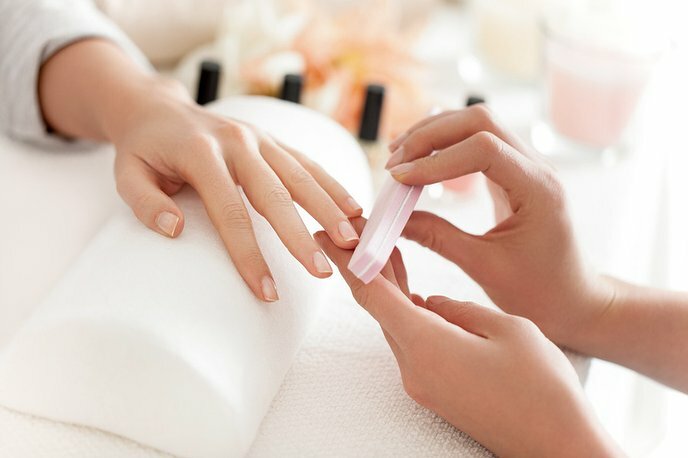 Whether you like your nails short and sweet, square, almond or oval, there’s a reason why manicures are up there as one of the most popular beauty treatments for women today. From french to gels, acrylic to paraffin, a professional mani will buff your hands and nails to perfection, and with hundreds of colours to choose from, will put the perfect finishing touch on any outfit. Pressure… we all feel it, whether it’s from work, our personal lives or otherwise. But allow us to introduce you to a good type of pressure... reflexology. If you haven’t discovered the benefits of reflexology, you’re missing out. It’s a treatment that suits everyone, no matter what your age or health concerns.